The Anne Frank House (267 Prinsengracht) is the most popular tourist attraction in city. 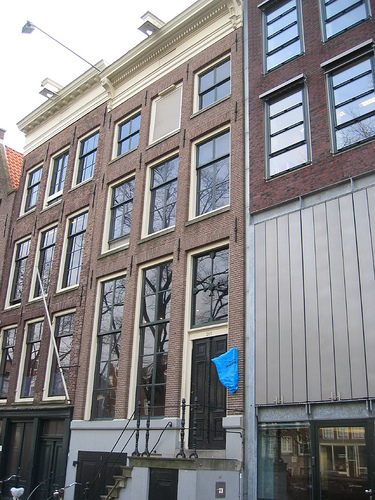 Visiting is a sad experience, made even more melancholy by the knowledge of Anne Frank's death shortly before her concentration camp was liberated near the end of World War II. Visiting this museum is heart wrenching. As you walk from room to room, you will begin to feel that you are an observer watching the unfolding of a horrible story. Touring the house, reading the placards, and watching the short films takes about an hour, you are likely to be mentally exhausted by the time you finish. There is only one route through the house and most visitors, riveted by the displays, take their time while learning the significance of this tribute to bravery in the face of repression. Visiting hours are between 9AM to (PM between April to August and from September to March between 9AM to 7PM. 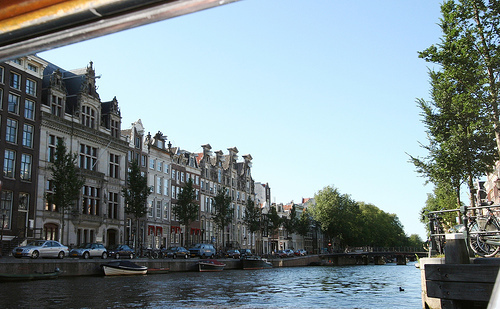 You haven’t seen city, without a canal cruise! A canal tour is a real pleasure, sail with a beautiful private saloon boat through the 165 canals, alongside 2500 house-boats and under 1281 bridges through the Amstel, Waterland, the IJsselmeer, Pampus and other destinations in Holland. There are several tour operators everywhere in the city, and find one that suits your budget and time. This is the commercial and economical part of city. 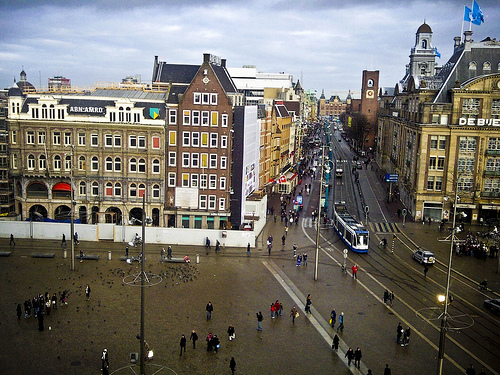 Here you will find a lot of shops in pedestrianized zones all leading to the most important square of the city "Dam". On this square you can admire the National Monument, New Church and Royal Palace. 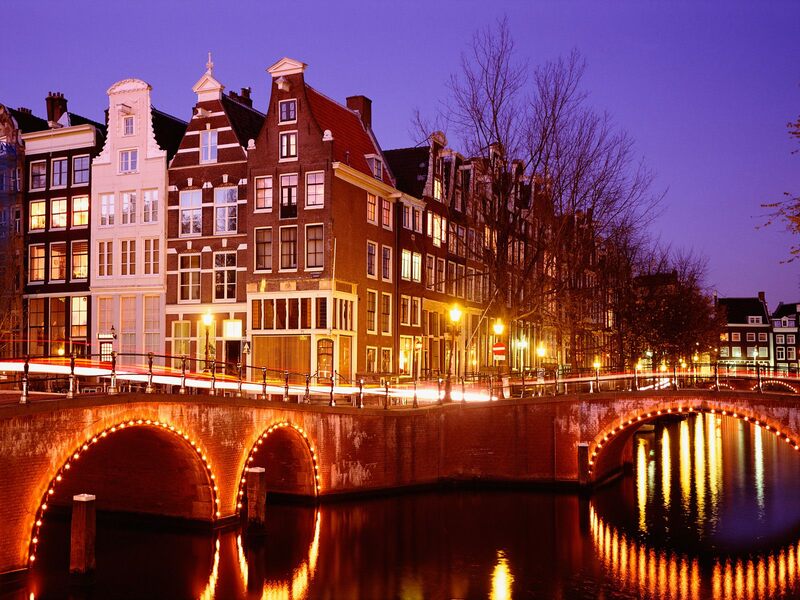 City is renowned as a biker’s paradise and it is a great way to explore the city. 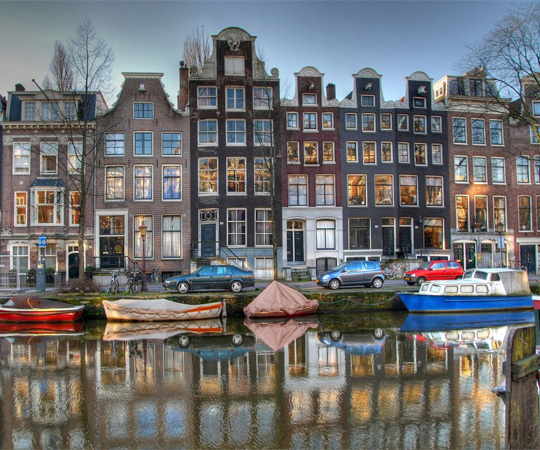 Cycle through the parks, see the famous Paradiso concert venue, the Skinny Bridge, the festive Rembrandtple and afterwards, cycle along the Amstel River into the surrounding countryside where you will get to see a traditional Dutch Windmill and also visit an authentic cheese farm and clog factory. Rijksmuseum showcases the finest collection of 17th-century Dutch works of art in just one wing of the massive Neo-Gothic building (the museum's architecture alone is a sight worth seeing). "The Masterpieces" exhibition features paintings by Dutch masters Rembrandt, Vermeer and Frans Hals, and a stunning collection of fine Delftware, silver and other artifacts. A visit to the Van Gogh Museum is a unique experience of your visit to city. 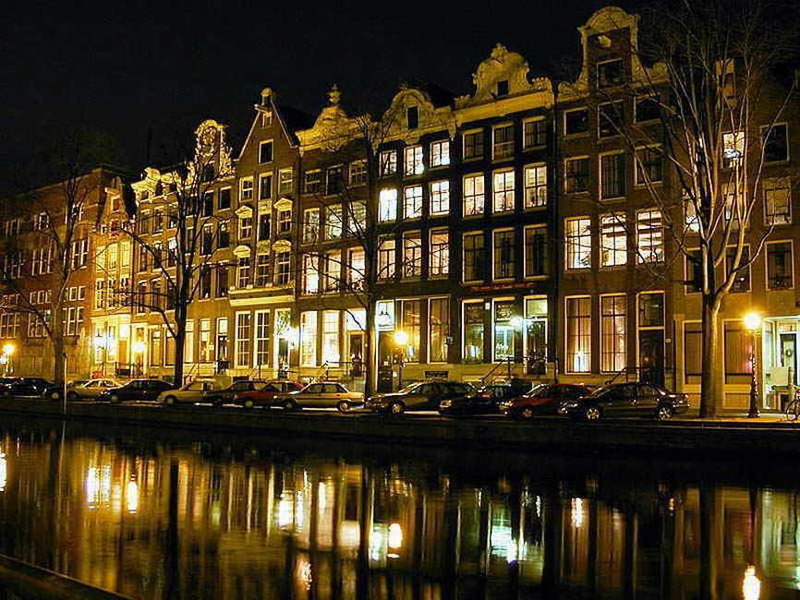 The museum contains the largest collection of Van Gogh's paintings in the world. The displays provide the opportunity to keep track of the artist's developments, or compare his paintings to works by other artists from the 19-th century. The museum also holds an extensive offer of exhibitions on various subjects from 19-th century art history. Open 10am to 6pm. Definitely schedule a trip to the Begijnhof which is an enclosed courtyard, surrounded by small houses, dating back to the 14th century. With one house dated to 1465, the Begijnhof maintains one of the oldest wooden houses in city. The pavillion is a special greenhouse (because of the temperature requirements of the butterflies), that will house about a 1,000 butterflies The pavillion measures 1,000 square meter, and is designed to give you the impression of walking outside. There is a special cabinet where the cocoons and the caterpillars (some of which have bizarre shapes) are housed. It hopes to be able to grow butterflies by itself in the future, but for now the cocoons are flown in from other parts of the world. Compressed between two other canal houses, on the Singel a very narrow house is trying to survive. All canal boat tour guides will point out to this remarkably tiny house and just imagine what rooms must be in here and how they are filled with what kind of furniture. Here the mother can never say to her child "don't sit to close to the television, my dear" as getting further away is just plain impossible. Constructed out of a former traffic underpass, TunFun Park is an indoor paradise for children ages 1-12 years old. The playground offers 4000 m2 of unlimited fun, creativity and adventure. Children can climb, jump, build, dance and burn off snacks on TunFuns massive slides, trampolines, soccer field, crafts corner, kid’s disco, inflatable city street, climbing wall and more. Vondelpark, the largest park of the city is by far the most popular with visitors and locals alike, especially during summer and on sunny winter days. The park is always alive with skaters, joggers and all sorts of street performers. Nemo houses loads of experiments and exhibitions inside its giant green hull on Oosterdok. No matter your background you will learn something new and have fun while doing it. The four floors of Nemo is a stimulating scene. Children of different ages have fun with giant soap bubbles, experiment in the chemistry lab or produce videos and music in the Media Lab. Keeping city wild since 1838, Artis Zoo’s mandate is to educate the public on natural history. It has evolved into a zoo complete with botanical gardens, aquarium, planetarium and research facilities. At Circus Elleboog children, youngsters and adults can learn circus acts and there are also performances. The Cat Boat provides shelter to stray and abandoned cats…on a houseboat! Smack dab in the middle of the canal belt and on the beaten path, it’s probably the most photographed shelter in the world. Noah's Ark was inspired by a dream of a man, Johan who with his son completed the arc in 2007. After people enter onto the Ark, elephant footprints on the floor will lead them through the Ark. First people go to the bottom floor and enter into a cinema that seats about one hundred fifty persons. The movie shown there brings to memory the story of the flood and together with the church benches people are brought back to thinking about faith more. The church is known as the place where the coronation of the Head of State as well of the national Remembrance Day service on 4 May takes place. The most recent great event was the coronation of Queen Beatrix on 30 April 1980. The church is no longer used for services. Antique fairs, art exhibitions and regular organ concerts take place here. Strangely enough this church has only a small tower instead of a high steeple. Sephardic Jews fleeing Spain and Portugal during the 16th and early 17th centuries established a neighborhood east of the center that became known as the Jewish Quarter. Because of the ongoing Dutch-Spanish conflicts, they called themselves "Portuguese Jews" to avoid association with the enemy of their new home. In 1665, they built the Portugees-Israëlietische Synagoge, an elegant Ionic-style synagogue within an existing courtyard facing what is now a busy traffic circle. During the sixties when city was divided between Nozems (greasers) and Provos (hippies) the Leidseplein was the major Nozem hangout, and thus a very cool place. Nowadays the area has deteriorated a bit, with an abundance of fast food, travel agencies and money changers. 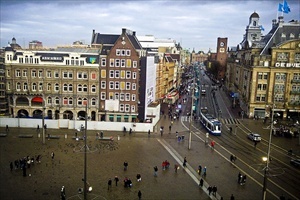 Nonetheless, the Leidseplein itself is a pleasant enough small square with a large tree-shaded terrace in the middle. During summer the square comes alive with street performers; everything from jugglers and fire-eaters to percussionists, mime players and clowns. The Hortus Botanicus is one of the oldest botanic gardens in the world. Today, there are more than 6,000 plants growing in the garden and greenhouses. Originally, the Hortus was a medicinal herb garden, founded in 1638 by the Amsterdam City Council. At that time, herbs were of vital importance as the basis of medicines and the city had just experienced a plague epidemic. Doctors and pharmacists trained in the preparation of prescriptions at the Hortus. At first sight, the Royal Palace on Dam Square doesn't look very royal or majestic at all, which is understandable because Jacob van Campen designed this building in the 17th century as the new city hall. When King Louis Napoleon came to city in 1808, he had the city hall turned into a royal palace. The large collection of Empire style furniture, chandeliers and clocks date from this period. After Louis Napoleon left, the building remained a palace. Although the palace is still the official royal residence, the Royal Family lives in The Hague. However, Queen Beatrix does host official state receptions and ceremonies here.